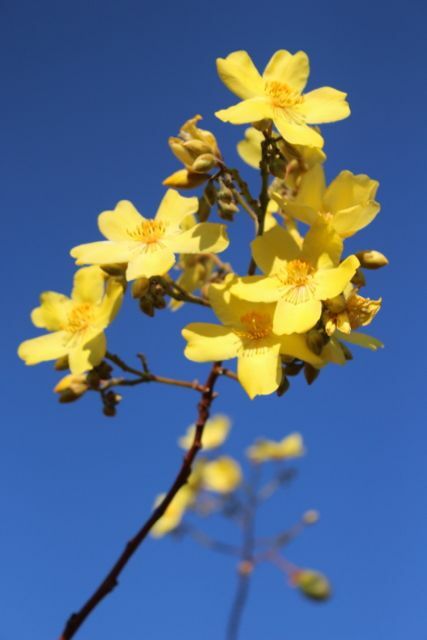 I just posted about the wonderful Kapok tree (Cochlospermum fraserii) which is in flower now. When I heard it was edible I put it in a pretty basic salad on a fishing trip. 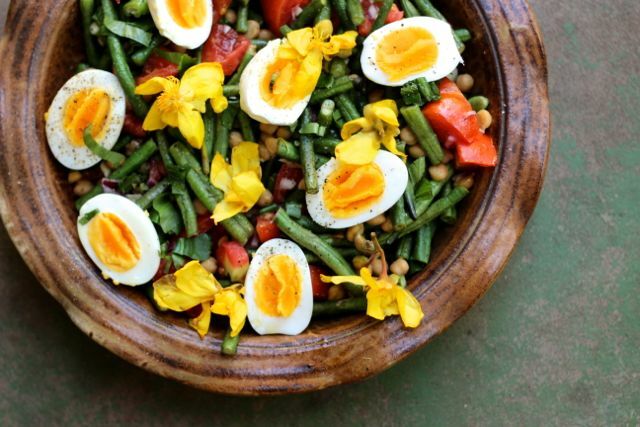 Since then I tried it in a very local salad using Snake beans grown in Humpty Doo (steamed and cooled), just hard boiled eggs from our chooks, chick peas, and very excitingly the first of this year’s tomatoes from Jenko’s spray free crop near Noonamah. I also added in some garden herbs and a yummy dressing of local lemon juice, garlic, Bees Creek honey, oil and sumac. Fresh Kapok flowers on top. You can de-petal or put them in whole. 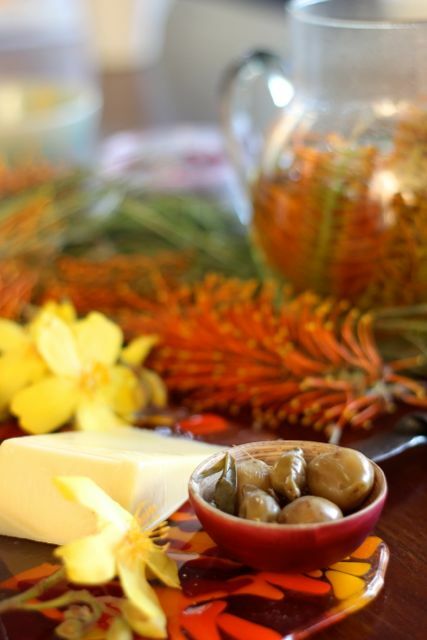 I also added them to a platter that had cheese, and my first batch of pickled Kakadu plums (Terminalia ferdinandiana) and some freshly made Grevillea tea. I think many more of our flowers that become edible fruit could also be added into salads and will research into this more.